We awoke to waves crashing over the sea wall – but bright blue skies Today was a lazy day as we were storm bound and we weren’t going anywhere. 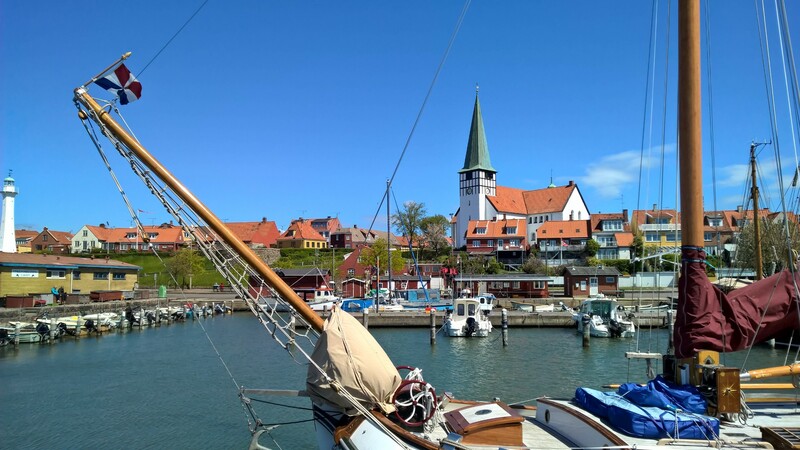 We spent awhile adjusting fenders and putting on a few more warps, then went off to explore Ronne – the Capital town of Bornholm. But we weren’t the only visitors, the Queen of Denmark was here in her magnificent yacht. She clearly hasn’t suffered from defense cuts that saw Britannia decommissioned. 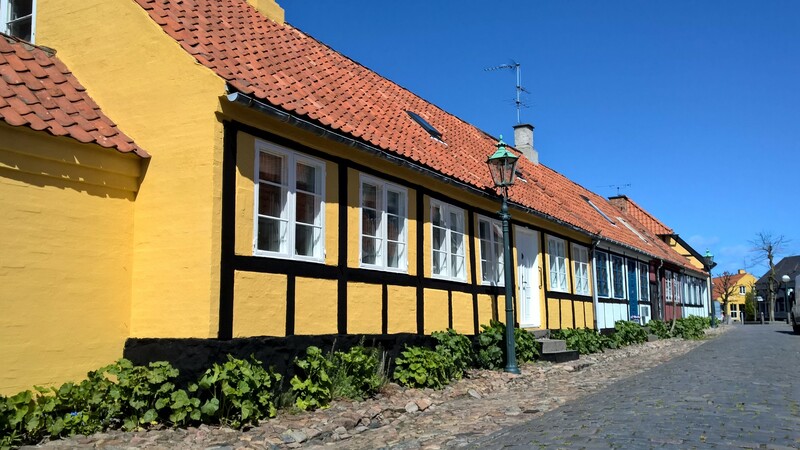 As it was Sunday most of the shops were shut so we wandered into the central square and stopped for a delicious salmon salad and then followed a walking tour of the town led by Hiawatha Campbell. 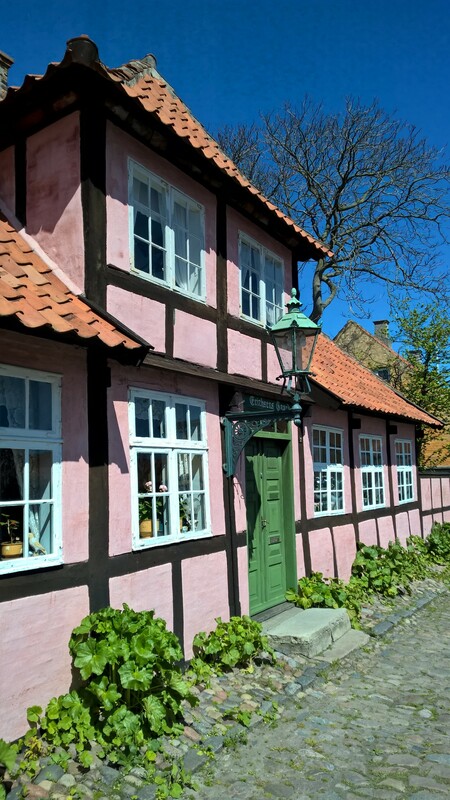 Denmark does do pretty very well – with quaint coloured houses. The walking tour was rewarded with an icecream then back to the boat. By the time we got back to the boat, it was gusting 50+knots. So we were very glad not to be at sea.